Let’s face it, many of us strongly dislike getting up earlier than we have to! Needless to say, this can make it hard to convince your employees and partners to turn up willingly to any early-morning company events. If you’re going to hold an early-morning fundraiser or conference, the least you can do is offer breakfast in the package! In addition to making sure that breakfast is enough to wake up attendees, you’ll also want to set the right tone for your event, dazzling guests from the moment they enter your venue. While we mightn’t be able to help you with your menu, we here at Table Art can definitely help with the last three! What better way to entice and energise your guests with stunning table decor for your next corporate event! Tired of boring table settings? It all changes with table linen! Why do breakfast table settings matter? It’s simple: you might have entered the venue feeling like you were still half asleep, but your brain is still taking in your surroundings and subconsciously using these to “set the mood” for the coming day. That’s why colour plays such a huge role in affecting how you feel! You might not notice it while eating breakfast – but your brain certainly does. 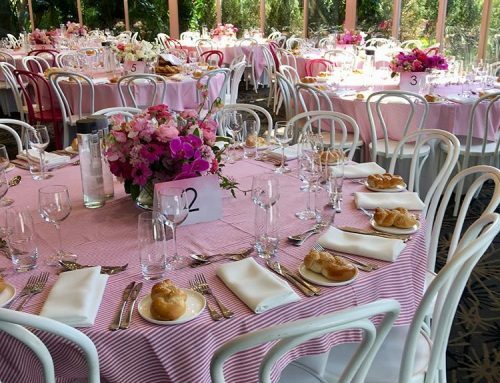 If you want your fundraiser, company breakfast or conference to kick off smoothly, a beautiful breakfast table setting is just as important as the contents of the event! Want a stunning theme for your next breakfast event? Here are some of our favourite ideas! Most of us consider ourselves city slickers (whether you work or live here) so it’s no wonder we can’t get enough of country-style theming! So why not break from corporate breakfast fare and extend that aesthetic to your breakfast event? Building a cohesive country-style aesthetic is all about warmth and simplicity. That means keeping things relatively simple. While country style may take inspiration from the old world, it doesn’t have to be too ornate. 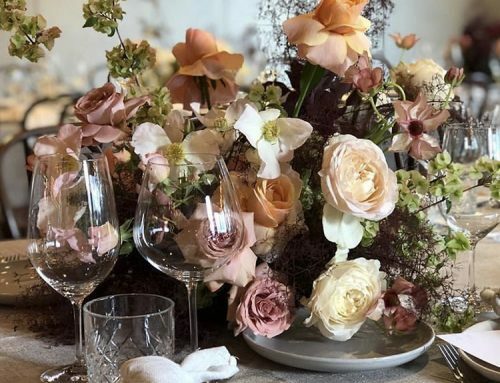 When it comes to your breakfast table settings, we recommend sticking to relatively plain textures and materials – nothing too glossy, if you can avoid it. 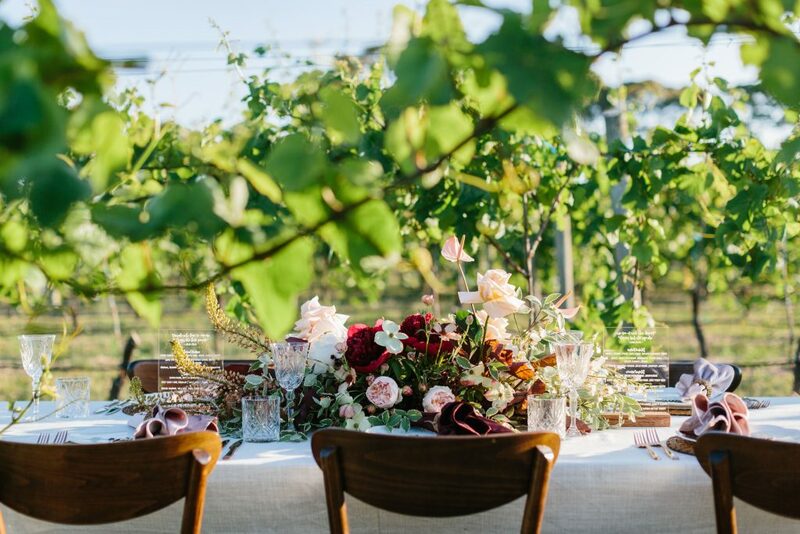 If you have richly textured wooden tables, don’t hide them – we recommend eschewing tablecloths in favour of runners to expose as much of the natural material as possible. 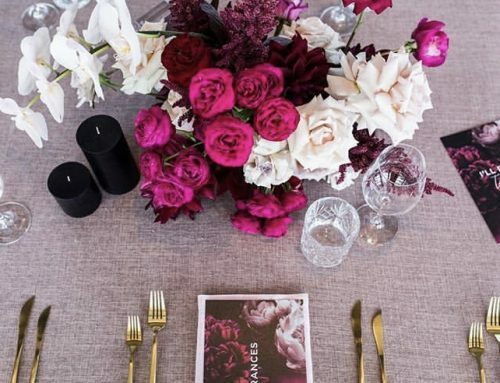 The table runner’s role is to maintain some structure for all the things that will sit on your table: think plates, cutlery, marketing materials, and decorations. Burlap and basketweave are also great choices for breakfast mats. They’re unassuming, simple and the perfect colour. And speaking of colour, you’ll want to stick with warmer tones and give particular focus to reds and browns. Cream is a good choice to tie everything together – versatile, but with enough warmth to fit with just about any country-style setting you have in mind. Combined with earthy vases of flowers and you have the beginnings of your very own country theme! As the first meal of the day, breakfast is all about waking you up and preparing you for the day ahead. And what’s more refreshing than waking up to the first breath of spring? While we may be heading into autumn now, that doesn’t mean you can’t experience spring just a little bit longer with your breakfast table settings. If you ask us, spring themes are all about nature. And of course, you can’t forget the blooms! Flowers are the key to any spring theme. Consider placing a vase of fresh flowers at the centre of your tables. 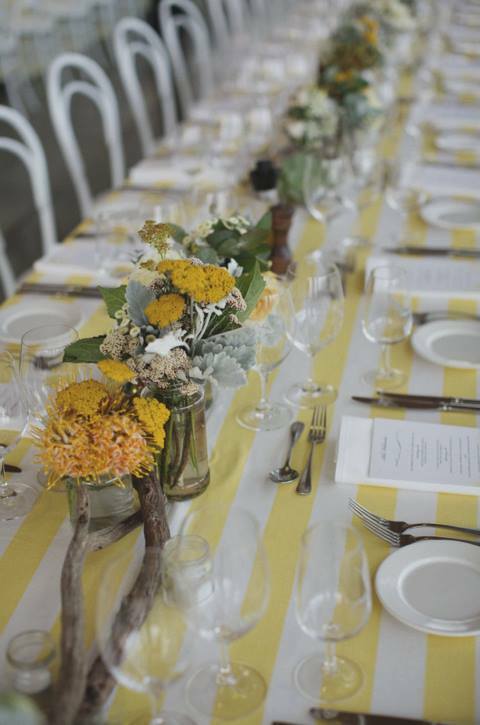 Tie it all together with table linen and you’re set to host a beautiful spring-themed corporate event. When we say “shabby”, we don’t mean run-down and old – there’s a fine line between shabby chic and genuinely shabby! So, how can you ensure your breakfast table settings are the former, and not the latter? Think of it like bohemian style (“boho” for the fashionistas out there) applied to interior decorating. It’s all about creating interesting spaces by mixing-and-matching the styles and fashions of the past. The result? A breakfast setting that feels relaxed and carefree – a refreshing change from the usual corporate style! With regards to colour, most shabby-chic interior design uses conservative whites, pastels and creams, as well as relatively unvarnished woodwork. This draws attention to the splashes of vivid colour and patterns used to accent everything. One more final piece of advice before you start trawling through op shops: there’s a certain point where furniture and decorations go from looking old to looking timeless. If you ask us, the 1960s is where this line is drawn. Impress everyone with simple yet elegant continental breakfast setting perfect for an interactive morning. Think of this as the country-style breakfast setting if it were adopted and raised by a wealthy aristocratic family! Just like the country-style, this style takes a lot of cues from the old world. Unlike country-style however, it’s decidedly less rustic and a little more polished. When it comes to cutlery and plates, stick to the classic tones and shades: you can’t go wrong with traditional white ceramic plates and dishes, and either gold or silver cutlery. And when it comes to table linen, you might like to try a heavier or traditional fabric, such as our Oatmeal, Black, or Gunmetal Weave. Make your next corporate event unforgettable: the right breakfast table setting starts with the right table linen! Breakfast is the most important meal of the day – especially if you’re hosting an early morning fundraiser, conference, or company breakfast! Creating such an inspiring and memorable event experience starts with your breakfast table settings. 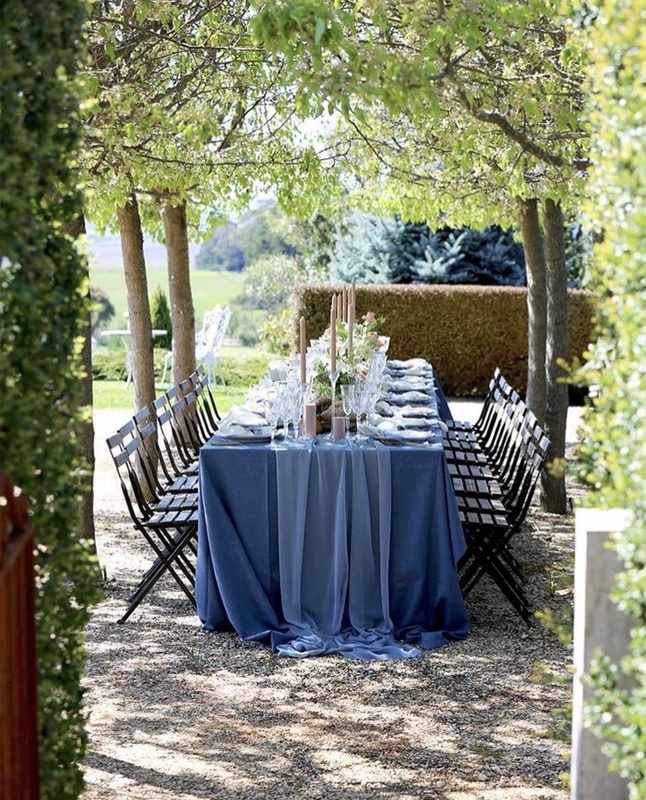 In particular, it all starts by finding the right table linen. 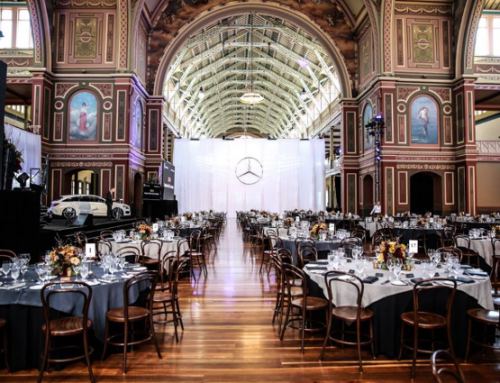 Table Art are specialists in table linen hire for all sorts of events across Australia. We’ve got a huge range of table linens, cloths and runners, including hard-to-find patterns and a range of quality materials. Have something special in mind? 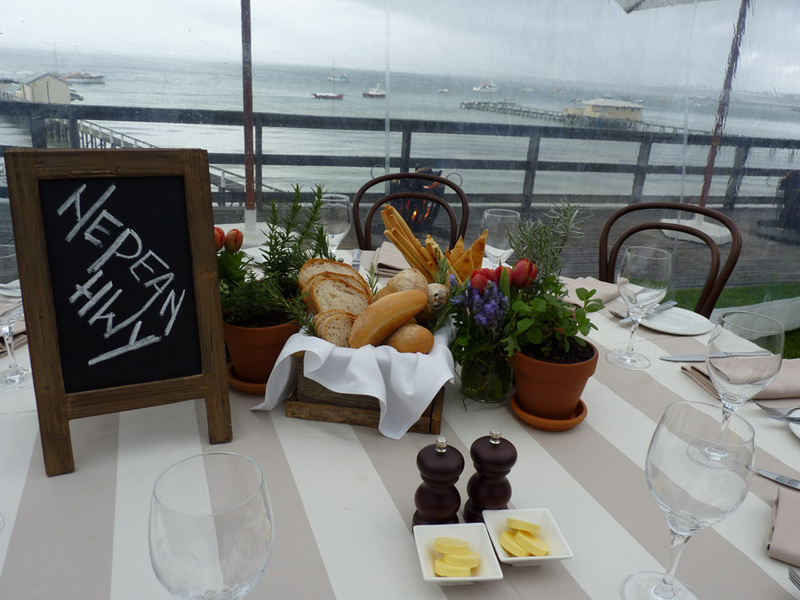 We create bespoke linens and tablecloths for your business function or event. Whether it’s branded products for a special launch or day-to-day use, our experts can help you achieve the style you want! 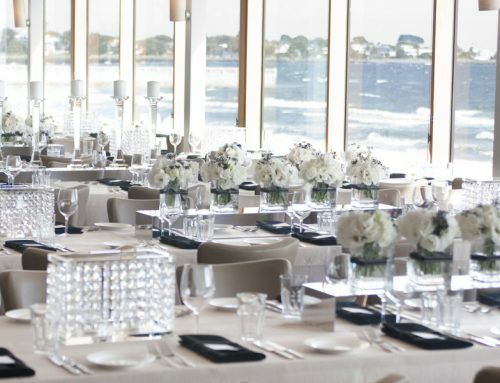 Contact Table Art today on (03) 9813 2851, or fill in the form to see how we can revitalise your breakfast table for your next corporate event!